There are not many avant-garde theorists who have their ideas materialized in the form of a Disney World attraction. 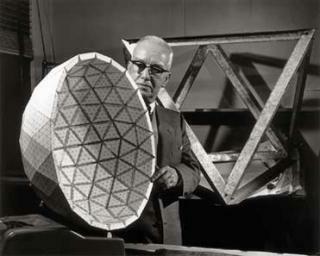 Buckminster Fuller has done just that, back in the 70’s. But his metaphor of ‘spaceship earth’ is far from being merely ‘attractive’; it was, and is perhaps, purely utopian. In his book ‘Operating Manual for Spaceship Earth’- which was published in 1969 – Buckminster Fuller made the daring assumption that the time was there to hand over control from politicians, financiers and bureaucrats to designers, engineers, artists and urban planners.